The Leftys are spiritual guides that help us release perfectionism to make room for simple, mindful ways of being. They are teachers and bridge builders that guide us to our higher selves. They show us, by example a freer and more playful way to live. 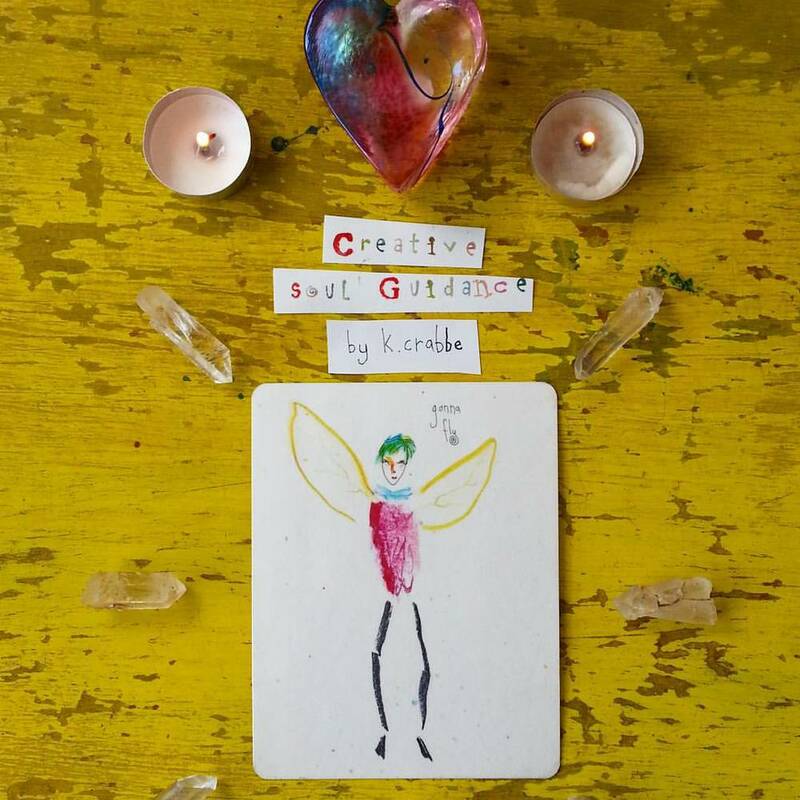 A 92 page full color Guidebook pdf with affirmations, creative journal prompts, expressive body movement challenges, non-dominant hand exercises, the meaning of the card if pulled in a reading, plus real life examples, stories, and games for each card. Order your Lefty deck here: $45 includes free shipping! 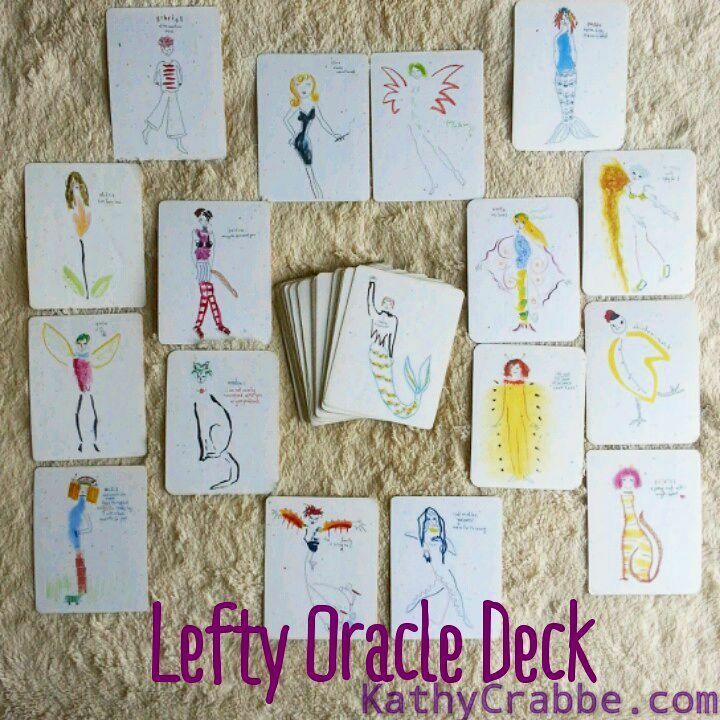 The Lefty Oracle deck is a magical tool designed to stimulate your intuitive, creative self. 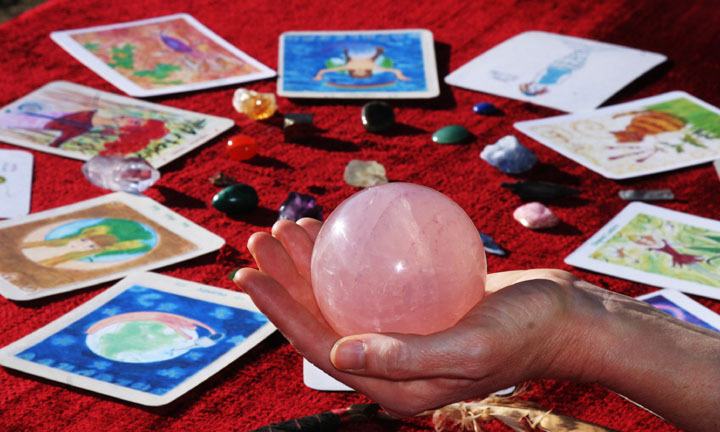 It is an affirmation and storytelling deck with options for personal interpretation. Use the playful, in-depth exercises in the 92 page guidebook for healing insights and self-care. The deck can be used for self development and with friends, clients, in moon circles, writing groups, as art therapy, at parties or in classrooms. Suggestions for making your own deck are included. The Lefty deck is part of my Lefty eClass. Annalee follows the path of the universe. Christine tries out non-dominant hand drawing for the first time. Kristin creates a New Moon Spread. 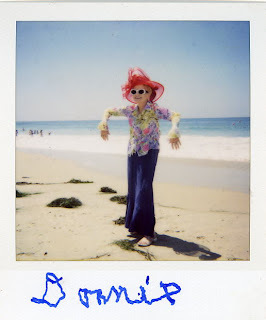 Annie shares how left hand writing changed her life. Participants at the Riverside Art Museum opening (photos). Today I have a fun review for you of an oracle deck that’s a little different, a little strange, and completely excellent...Spiritual guides and guided messages shouldn’t always be easy but they should be supportive, and that’s something I’ve always found with this deck. ~ Jess Carlson, SacredWildWitchery.com - Click here for the review. This deck holds a very light and playful energy to it.. and I know you will love as much as I do! ~ Rachel Caringella, Oracle at TreeTalkerArt.com Read the review here. I spent 5+ years painting the deck with my non dominant left hand. This recharged my batteries in new and healing ways. It helped me slow down and trust myself. When I paint Leftys, the lines lead me. I start with the head, and the name comes later. I’ve never seen anything like it…I laughed out loud. You must travel to some secret place when you create them. "Everything is just beautiful...And the colors are yummy! Yummy!" ~ Francesca De Grandis, Third Road School, Shaman and best-selling author of Be a Goddess! In 2016 I exhibited all 52 original paintings from the deck at the Riverside Art Museum as part of the 52 Project; a 52 week experiment that involved creating every day. I helped people understand that non dominant hand drawing could awaken their intuition and help them pursue their dreams from a deeper and more aware place. All the Leftys are collaborative. They are not meant to hang on the wall or sit on the shelf. They deeply desire to engage people on deep levels using sacred play. Click here to order your deck $45 includes free shipping!